As the snow has been softly falling outside, I’ve been sitting in my warm and cozy house, taking some trips down memory lane. Memory lane is always a beautiful place to walk. It looks even prettier covered with snow. Sit down, snuggle in, and walk with me awhile. 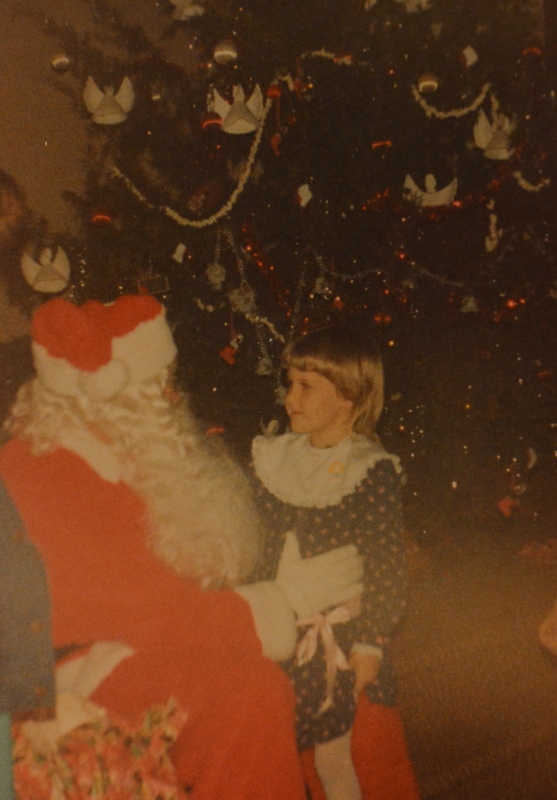 I’d like to share one of my most treasured Christmas memories with you today. This Christmas memory takes place long ago at a little, snow-covered, one-room, white church called Mount Zion. 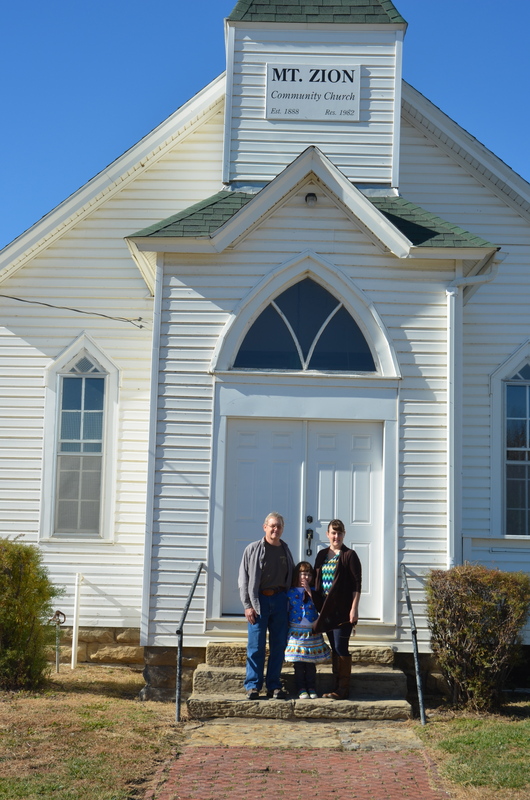 This little church is located in the Kansas countryside and will always hold a special place in my heart. Some part of my family has been in attendance there since it was built in the 1800s. One of my great-great grandfathers even donated the land the church sits on. 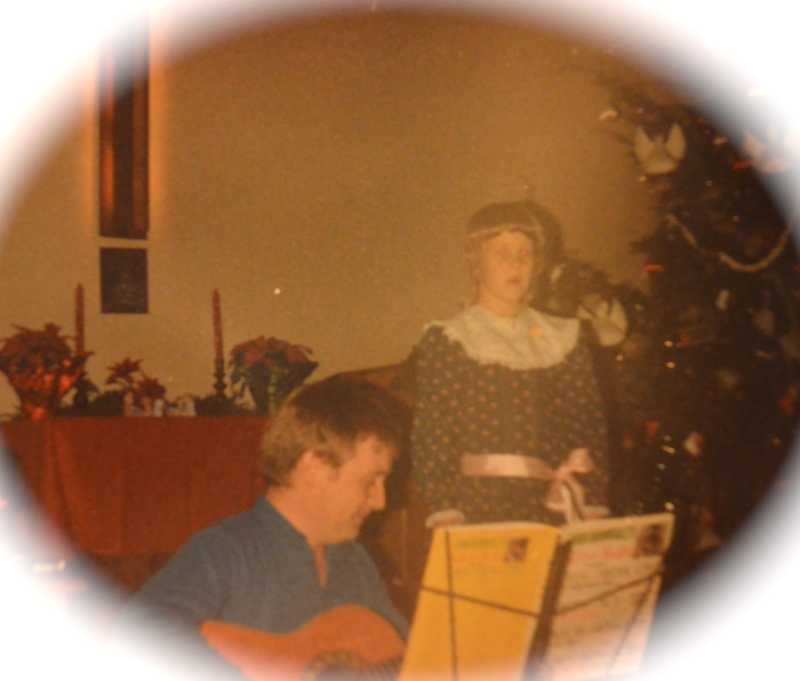 So it was not surprising, that on Christmas Eve in 1986, I found myself dressed in my fanciest dress (mother had worked all week to sew it), standing on the stage, and getting ready to sing in front of an audience for the first time ever. Daddy (a former professional musician) had worked with me all month teaching me the words to, “We Wish You a Merry Christmas”. He was accompanying me on the guitar (and helping just a little with the singing). All went very well with the performance until Daddy accidentally played the wrong chord on the guitar, at which point, I reached over and lightly bonked him on the head. The whole church burst into laughter, Dad gave me the evil eye, and, as they say, “the show went on”! My first time singing in front of an audience with Dad! After Dad and I sang, several others in our community sang and played special Christmas songs. One of the grown-ups always helped us kids to put on a Christmas play (that usually involved lots of Bible character costumes created with bathrobes and towels), which was a big hit with everyone. Then, of course, there was the Christmas tree. As a child, the church Christmas tree stands out magically in my memory. It was always a real tree from someone’s farm, and it was decorated to the hilt. 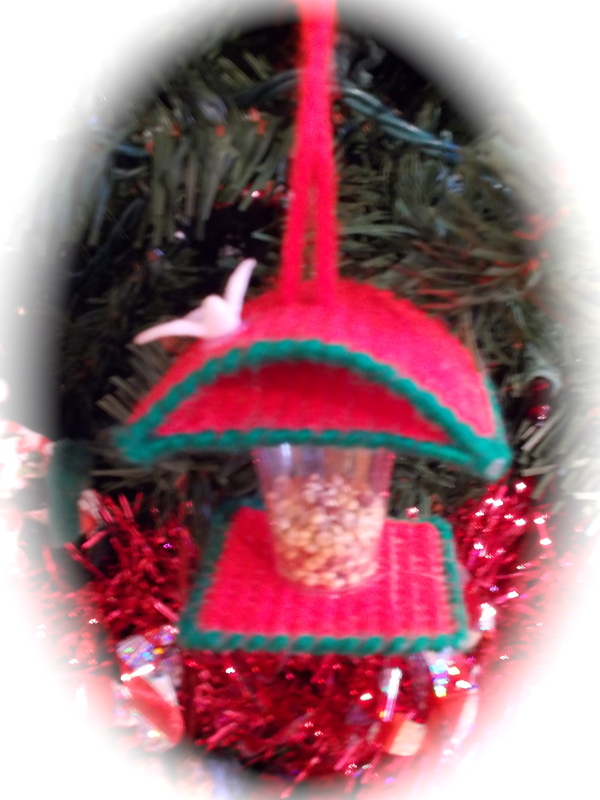 Popcorn chains, paper plate angels, paper chains, and all sorts of homemade ornaments decorated the beautiful tree. In my memory, it took up nearly half the small stage at the front of the church. After the singing, there was a sound of heavy boots at the door, and to our delight, Santa Claus himself would walk in! He’d walk right up to the front of the church with a large bag filled with toys. There was a toy for each child in the church. I was always amazed that he knew just what all of the kids wanted! Sitting on Santa’s lap. Note the beautiful tree and ornaments in the background. At the end of the night, as we got ready to leave, church ladies stood by the door to tell you goodbye. Every family got a big brown paper sack filled to the brim with oranges, apples, and hard Christmas candy. A special lady named Charlotte always made each family in the church an ornament out of plastic canvas. Charlotte’s ornaments still hang on my tree today. Christmas at Mount Zion is seared in my memory as the epitome of Christmas magic. Dad says that it was exactly the same when he was a little boy, and I wouldn’t be surprised if my grandparents and great-grandparents didn’t have similar memories of Christmas there. A couple of years ago, I got the chance to stop back by my childhood church. It looks much the same, except a large building has been added out back. I’m sure the Christmas services there are still as special as they used to be.